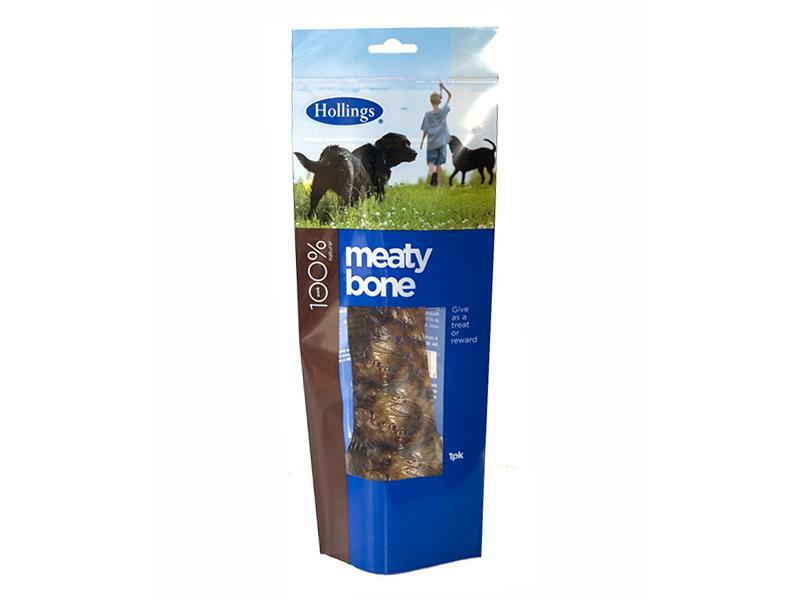 Hollings Meaty Bones 5 Pack are tremendous treats with sweet meaty pieces still on the bone. The perfect long lasting stimulating treat for your dog. Hollings only use approved abattoirs that supply the human food chain and select bones which meet their high manufacturing standards. Bones may splinter, so always supervise your dog when they are chewing. 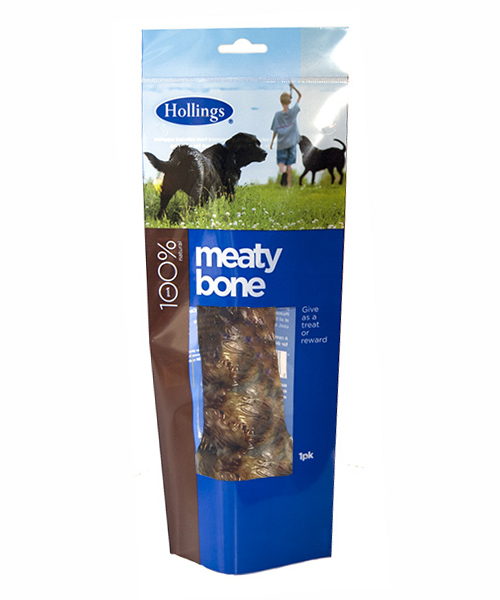 There are currently no questions for Hollings Meaty Bones - be the first to ask one!